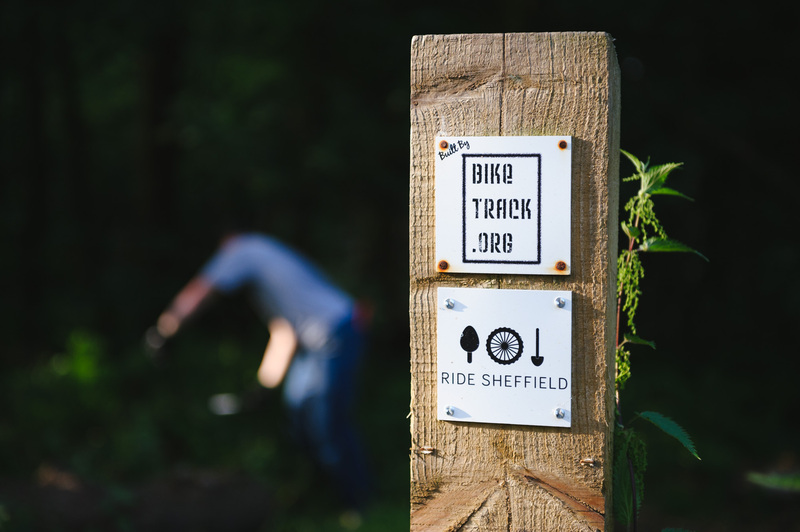 Gaining praise from Ramblers, working with the local wildlife trust to create downhill tracks in a nature reserve, and successfully crowd funding mountain bike trails focussed on flow and family use – Ride Sheffield must easily be the most successful trail group in the UK. For anyone wanting to start an advocacy or access group for mountain bikers the go-to starting point has to be The Advocacy Files, a series of case studies that document the work of Ride Sheffield, in partnership with Peak District MTB and Keeper of the Peak. It’s an indication of the groups foresight that the importance of sharing examples of best practice was recognised and acted on. If you’re thinking of setting up a group to help protect and expand your local patch Ride Sheffield is probably the group model you want to be following. We asked Ride Sheffield’s President Henry Norman to spell out just how the group came into existence and what exactly its ethos is. RADventure – Can you tell us a bit of history about the group. How and why did you start out? Henry Norman – We never intended to set it up as a model. 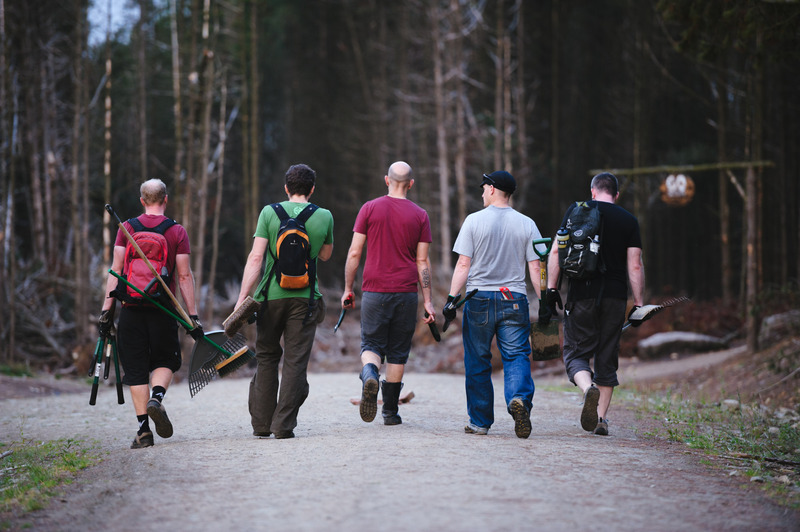 I’d previously been involved in the Redlands Trails [A Surrey based trail network], it was pretty successful – the first time we did a dig day we had seventy people turn up, most of Summer Lightning was built on the first day. It went from that to 40, to 30, to just a handful of us. It was a bit, you know – when everyone rides by and says “You’re doing a great job”. I’m pretty sure it was suggested that people would prefer to just give us some money. I spoke to the original people at Dalby [Forest] and other trail groups and everybody had just ended up hating each other. When you talk to most of the groups that were around 20 years ago most of them fell out. Second time around it was all about keeping everything as nice and friendly as possible. Ride Sheffield started as an offshoot of Ride the Peak, we might have had a different name if we’d started in a different way but we outgrew Ride the Peak in a couple of months. It came about because I was invited onto the LAF [Local Access Forum], basically because I work for Sustrans and have a desk in the council offices. The council was convinced they could never contact mountain bikers, I thought ‘you probably can’, so I set up a Facebook group. It dribbled along until it had over 100 members. I thought we probably needed to do something more so we set up a meeting in the Lescar pub. Sometimes you just have to do something that’s brave or stupid, it was definitely cocky of me to do it. I put up a post about it that got shared around; bike shops shared it, if I bumped into riders out riding I’d tell them ‘we’re doing this’, Jon Horscroft put it on UK.bouldering, which around Sheffield was a forum for mountain bikers as much as anywhere else. We had 80 people turn up at the Lescar and we just chatted about issues and riding. Everyone was asking ‘who’s going to do something about it’ and we said that’s the point of the meeting, we are. It was very much a case of we’re going to have to do it. That very first time we met I knew we needed to do things differently. We weren’t going to be going out and just building trails, we would have to be a contact point so that horse riders could speak to us, ramblers could and more importantly land owners had someone to talk to. 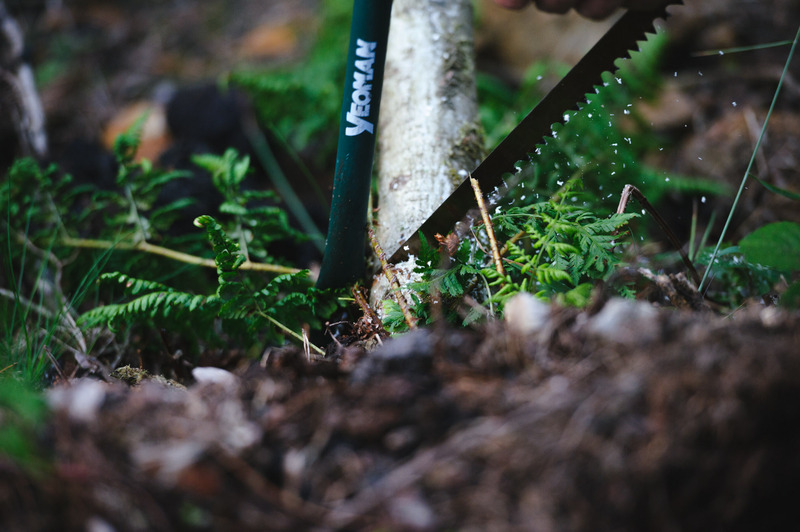 We could be a conduit between trail builder, mountain bikers and landowners. We had plans to do things but to start with the important thing was just to be this communication point. We had a couple of early successes taking on the council, and winning, which made them take us seriously. For the first year or so we had to put up with people slagging us off, partly because we were seen as not doing anything, but if you look at most advocacy groups a lot of them get to three years then fold because you can’t really achieve much to begin with. When we got involved in organising Steel City DH [with This is Sheffield and Peaty] which is where most of the trails in Grenoside came from, we got accused of just hanging with the cool kids, but we held the first race which raised the money to fund the first trail and it’s just gone on from there. Unconventionally, and almost by accident to a degree, all the trails in Greno came about because of the race and as long as we keep running it they’re maintained and paid for. 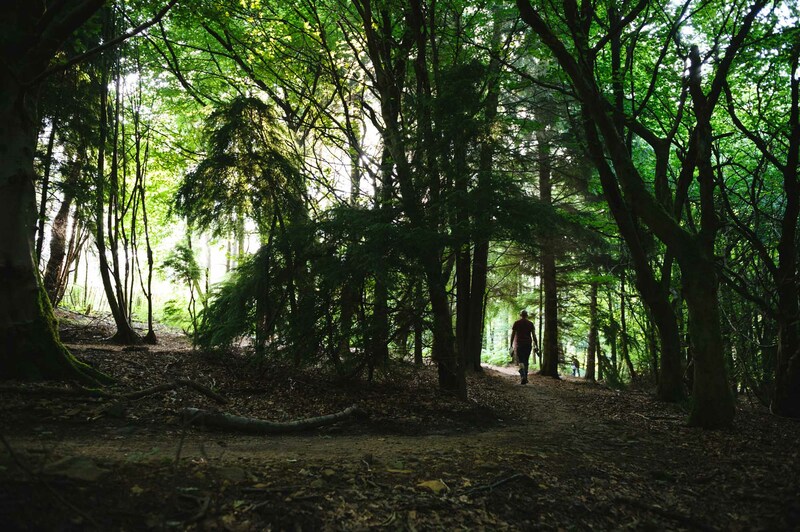 Does there need to be an governing body overseeing different trail groups? It comes back to the BMC each time and the BMC is a really good model. I think you’ve got to look at mountain biking now as where climbing was 30-40 years ago, it was probably more rebellious. I think the BMC really struggled to get everyone together initially. It’s better to let clubs be clubs and have a structure that accommodates that, I think that’s what Open MTB are trying to do to. I think the BMC model is quite good, mountain bikers and climbers have quite a lot in common, but it also covers hill walkers and I think that’s always going to be a difficult point. That we’ve got the BMC involved in the Cut Gate project is a really powerful thing. With Cut Gate it was important that we started the conversation. If other groups or the landowner had said ‘we don’t think anything needs doing’ at least we’d have taken the lead, been seen as being responsible, and that would have had an effect down the line. It’s really important that you’re seen to be doing something positive. What do you put the success of Ride Sheffield down to? We’ve always done things differently. I think we had a pretty good reputation pre-Lady Cannings, whatever we were doing, whether we were just more savvy with the media. We’d had a few successes, we were doing things on rights of ways and winning over landowners. I guess what really raised our profile was doing the crowd funding and building Lady Cannings. We realised early on that wasn’t going to be a trail you could build by hand and the council wanted it built to a standard. So we had to raise some money, and Cy [Turner, of Cotic Bikes] said ‘we could crowd fund it’. On the first day I just got loads of emails, PayPal receipts, all arriving over lunchtime. All for £10, £25, all coming through. That’s the first I knew the press release had gone out about the crowd funding. Flow trails get a bad rep, but they’re just one thing. Mountain biking is a broad diet of many different trails. Some people ride Lady Cannings all the time, I couldn’t do that but then you can’t smash rocky tracks all the time either. People build flow trails, really over engineered expensive trails, but it’s meeting a niche. 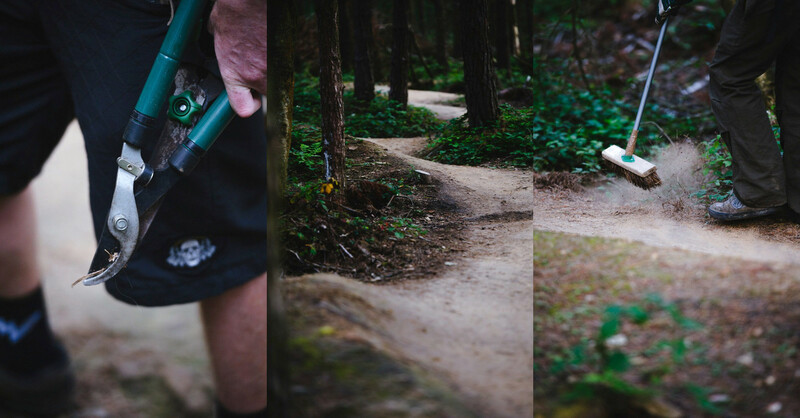 That’s something that came from the recent IMBA conference – nowhere had beginners trails and what they were really impressed with was what we were doing catering to that lower end of the market. Bike parks don’t tend to have trails for families to ride. The industry is worried that there’s fewer riders coming into the sport from that end. We designed Lady Cannings to be really good fun, you can ride it at a pretty low-level and still enjoy it. One of my favourite things about it is that people have kids parties up there, rather than going bowling. That’s how you know you’re more mainstream, when kids don’t go bowling but would rather ride their bikes. That’s really significant. Does the diverse nature of the committee behind Ride Sheffield contribute to its success? We’ve a good spread of committee members and skills, mostly by happy accident, and representation from industry and local bike shops. We always meet in a pub. It’s not an onerous task to come to a meeting and chat. At the moment we’ve got so much positive stuff happening we can’t fit it all into a meeting. So many different little projects with so much detail to them. Some people drift in and out a bit, and some have more time to commit to meetings. It’s never been about individuals being known for doing stuff, I’ve always wanted it to be about Ride Sheffield. We don’t have a structure where everyone has to come to me for decisions. It’s more devolved than that. Some groups take ages and loads of emails to make a simple decision, we don’t work like that, everyone trusts each other enough for them to get on with it. We have really strong relationships within the group. Everyone’s away working on their own projects then we come together from time to time to catch up. Stuff is going on all the time. The only reason we have a President and a Secretar and a Treasurer is we’re a constituted group. We have an AGM that’s so well run that if you blink you’d miss it, but we have to do it. You do have to have someone to organise meetings to keep them moving though. We seem to be doing stuff that you see results for. Like I said, often for the first two years you don’t see any results and it’s really disheartening and partly that’s because you’ve set up this thing and said ‘we’re going to do this’ and everyone says you’ve done nothing. Now we have our history on our website, writing it was such an onerous task, but it’s easy to forget some of the successes. It helps let people know what you’re involved in, especially when some trail work has been quite subtle. There’s a need to look like you’re doing something all the time. 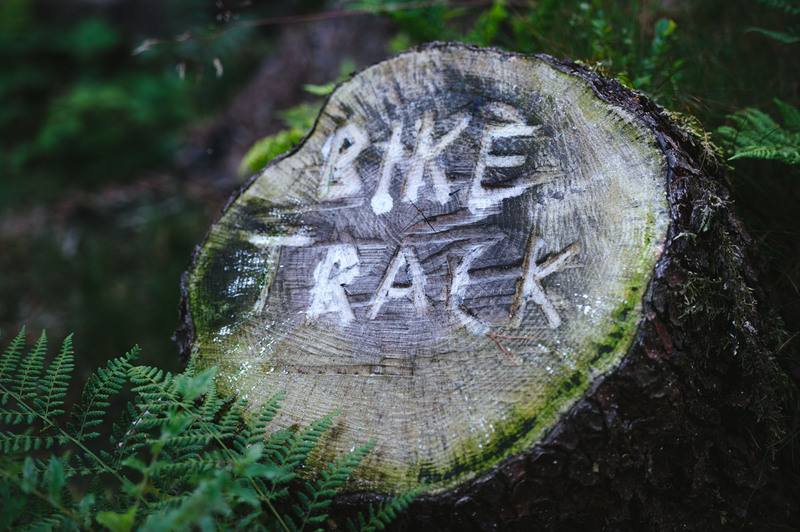 In summer we tend to take a bit of a back seat because everyone is riding, you can’t really maintain trails in the summer anyway because it’s back breakingly pointless, and you’ve got to ride your bikes because that’s why you do all this. What do you see as the number one issue mountain biking faces with regard to access? I think speed is the real issue, if you really want to take any single issue in mountain bike access right now it’s speed around other users. I think a lot of the old arguments have gone, especially the erosion argument. Right now in Sheffield the argument isn’t about damaging trails, but there are still some really good examples of riding at inappropriate times of year just because we can ride in winter. And we do. A part of British mountain biking is while everyone else puts their bikes away for winter and gets out skis until the snow melts, we don’t do that. But just because you can doesn’t mean you should. I think we’re really lucky round here, some places are just so muddy and a lot of people’s reality is that if you’re going to ride doorstep trails that’s all you’ve got. Round here if you ride the rocky trails you rarely see any mud so you can ride and cause very little damage. But in terms of access arguments speed is really significant. Which comes down to a sense of entitlement. You just need riders to be intelligent about it, choose when and where you’re riding, it’s about ethics which we don’t have. It’s like Chris Ball says – we don’t behave like a mountain sport. Surfing is a really good example of ethics, it has a load of unwritten rules. You need the right people putting the message out and speed is an easy one. On rights of way it’s what you’ve got to tackle. It’s not saying slow down all the time, it’s just saying if you see a group of people ahead ride appropriately. It’s just about being considerate. There will be a few people you can’t reach but you just have to work around that. Some people are just selfish but people’s opinions can be clouded by just one experience. The argument for opening access and diluting the impact is not a bad one. If you’re worried about damage versus places with loads of mountain bikers all in one place then, you know, the damage is much less than you expect and impact would be better if people can go all over the place. And finally, what’s your advice for aspiring groups? If you do some things not very well it tarnishes your reputation. It’s something we’re very aware of, our work has to be of a good standard. 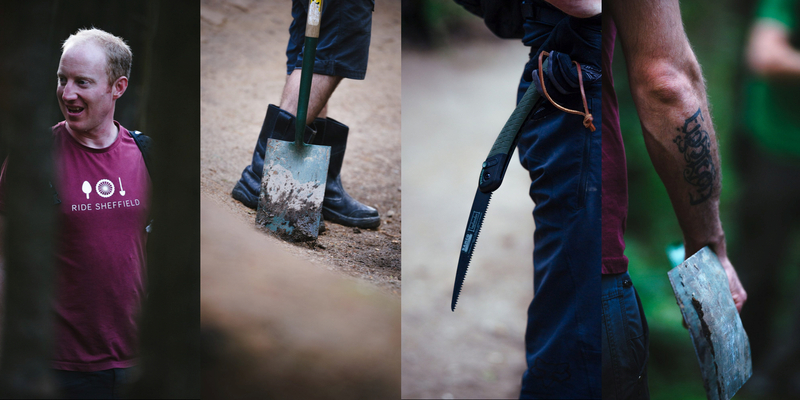 Everything we do; online, trail building, has to be good enough. It’s really important that you look professional, and we’re as professional as we can be when we’re doing stuff. Being consistent is really important. Once you can show what you’ve done, and got examples of your work so people and funders know what you’re on about and what a mountain bike track looks like. It does really help. It’s each little step, and I think we have a good model for how it works. Being open and friendly with other user groups. Getting involved with the local access forum. Getting involved in stakeholder groups. Going to all the meetings and not annoying anyone in the process of doing that. 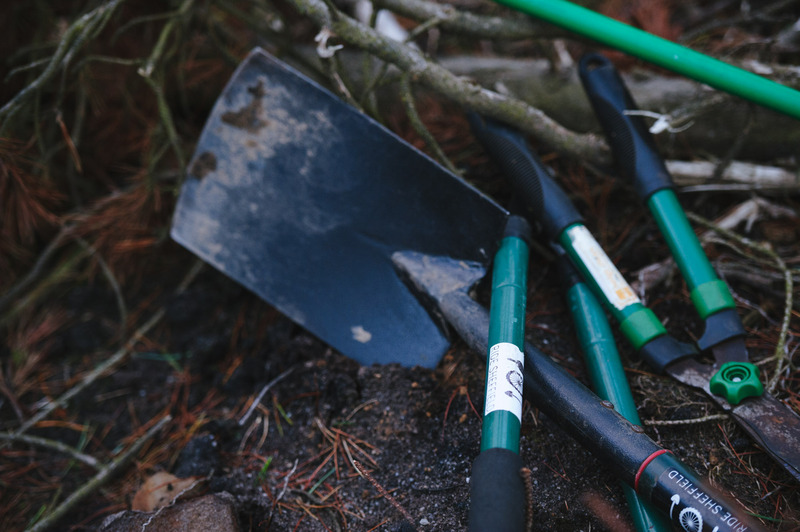 Offer to help, offer to maintain trails. Do the work and gather the evidence. Don’t forget to take photo’s so you can show what you’re doing. Eventually you’ll be the person who’s trusted because you’re doing more than anyone else. The people instrumental in Ride Sheffield are John Horscroft, Sue Duke, Stephen Hardcastle, Si Bowns, Cy Turner, Adam Wiles, Dave Camus, Phil Reed, Jon Edwards Paul Testa, and Jon Dallow (the council connection!). Many thanks to Henry Norman, Simon Bowns and Ride Sheffield for their help with this feature.